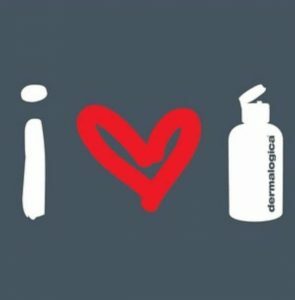 Dermalogica uses only the finest ingredients available, all products are non – comedogenic and contain no occlusive mineral oil or lanolin, no irritating artificial colours or fragrance, and no drying S.D. alcohol. Dermalogica’s face mapping analysis takes the guesswork out of getting results. Our therapists will diagnose your skin concerns and prescribe a no-nonsense home care routine to deliver optimum skin health. Our customized treatment, on your time! Targeting your key concern for maximum impact in minimum time. This treatment is a firm favourite with those who have just 30 minutes and want visible results and great value. The ultimate treatment, different every time. Customized with advanced product, technique and technology in a soothing environment made for relaxation. The ideal choice for those who want a comprehensive experience to address all skin concerns and achieve healthy glowing skin. Let us help with the signs of ageing, shaving bumps/ irritation, rough dry skin, and breakouts. Every stage is customized to your skins needs. This is the most effective, strongest, powerful peel we have ever offered. The Pro Power Peel collection features a full suite of peel products! Including alpha hydroxy acids and Beta Hydroxy Acids (AHAs & BHAs), we can customise your peel to instantly rejuvenate & refresh your skin. Age Reversal – glycolic acid reduces the appearance of hyperpigmentation, fine lines and wrinkles. Power Clear – Salicylic acid, mandolin acid, malic acid, and a patented terpineol – Thymol complex targets blemishes, redness, and post inflammatory hyperpigmentation. Ultra bright – Lactic Acid peel brightens and hydrates , reducing the appearance of early signs of ageing and helping to even out the skin tone.